A truly magnificent arrangement. This breathtaking bouquet is arranged with roses, hydrangea and orchids in a spectrum of pinks. 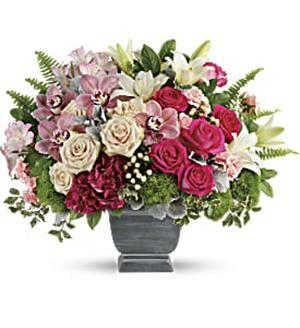 The florals are accented with fresh greens in an elegant pedestal-style container. A Classic Bouquet perfect for conveying your sentiments.